Our first priorities are the recruitment and placement of highly qualified and competent crew members to our ship owners, from the lowest rank up to the highest rank or complete team, on all types of bulk carries and tankers, all over the world. Each Client is treated individually and their requirements are serving as guidelines for our activity. One of our objectives is to establish long terms relationship with our Clients basis on professionalism, trust and quality services. 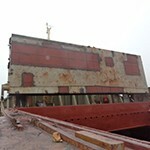 Our staff comprising more than 400 members (certified welders, experienced fitters, foremen, naval architects, supervisors, mechanical and naval engineers) is highly qualified and specialized on ship repairs (conversion projects, soft steel work, hatch covers, etc. 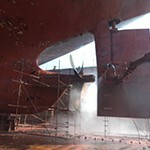 ), hull fabrication and new building works as well as steel works for civil and industrial constructions. We can offer our personnel’s services available to relocate to any shipyard in Europe or other countries all over the world. Our company has the capability to put at your or your clients’ disposal either highly qualified workers (fitters, welders, mechanics, scaffolding workers, grit blasters. 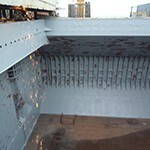 painters) or complete teams (foreman, supervisor, workers) for steel works, ship building and ship repairs. In this case all workers are employed by our company and all health, pension and unemployment taxes are borne by our company. 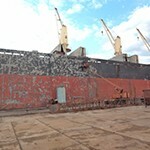 Our most recent assignments are ship repairs performed in Greece, in Romania, etc. 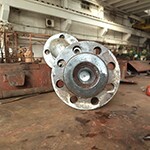 Up to now, our employees have performed the whole range of repairs works on board of more than fifty vessels.